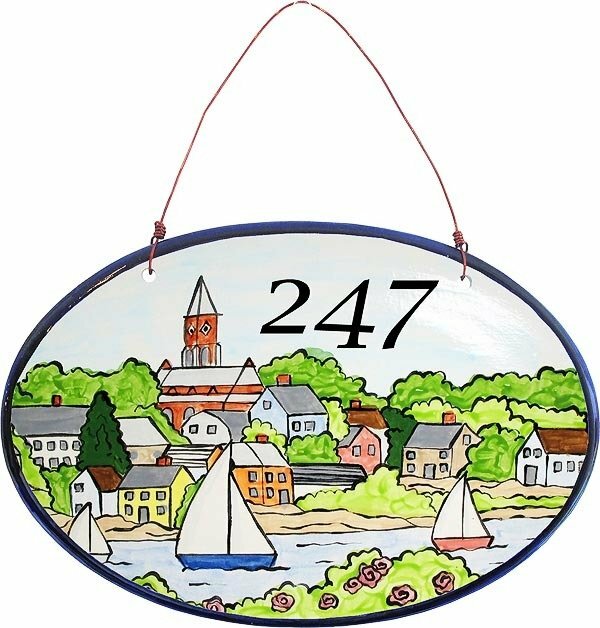 Our own hand-painted ceramic oval house plaque with a choice of one of 3 Marblehead themed patterns. 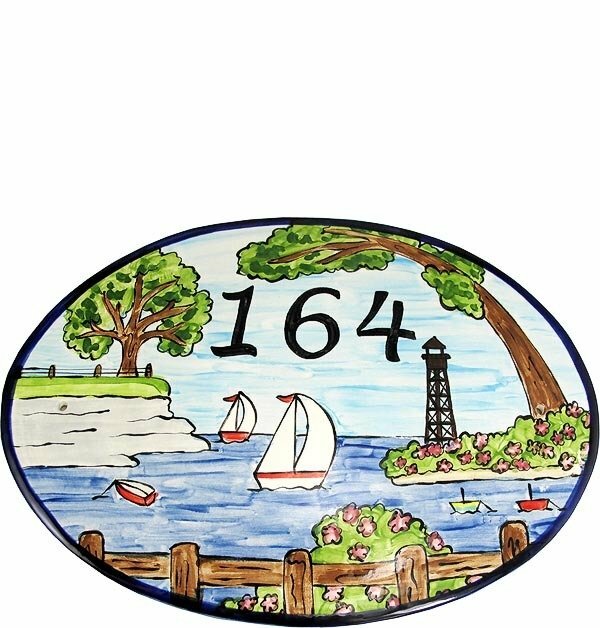 Each one can be personalized with a name, house number or short saying. Please allow 3 weeks for delivery as each plaque is hand-painted to order. If you need it sooner for an event or special day, please let us know in the customer notes section at checkout and we will try to deliver it in time. 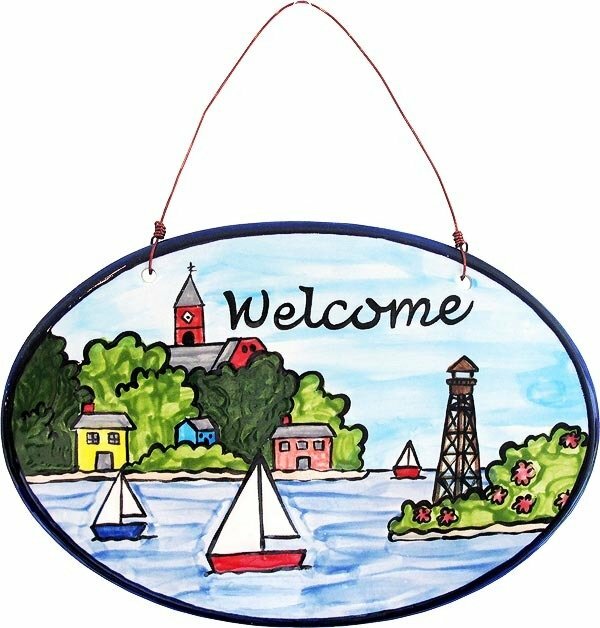 Please enter the personalization you want on the plaque.